Discussion in 'Performance Enhancing Drugs' started by Oaken, Aug 4, 2014. 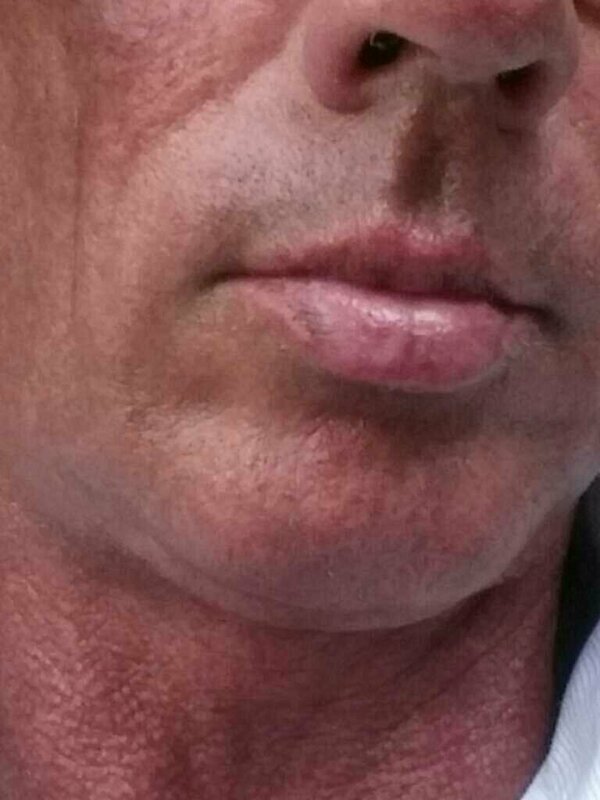 Getting dark patches on my lower lip, not so easy to see on the pic. Ive used ca. 8 Mg over 11 days. Didn't use yesterday for first time. Will just maintain twice a week now. Will those patches diminish? What's the recommended weekly maintenance dose? You need a Factor 50 lip-balm buddy. Didnt anyone tell you this? To use on your lips and your eyelids? My wife got what looked like freckles on her lips when she used it,they did fade eventually. I went more or less on this protocol ' 0.25mg will do nothing mate. Until I have about 6mg in me I burn badly. Even burnt the other day after 8 because the beds had been retubed but have a nice colour now. Generally speaking if you are light skinned you should use almost a full 10mg to load then just top up with 2mg a week. Thats the protocol I use. Do you tan much naturally? 0.25mg will still do something bud, but maybe for someone who is naturally olive like myself. Yea I got that pigmentation issue before mate. Too much too soon, but it's not permanent. You can't do standing sun beds anymore. Give it at minimum 2 weeks before you use the sun beds again. Usually you cannot tell when this is happening to you, so you need an honest opinion - missus or mate - to tell you if you're overdoing it.